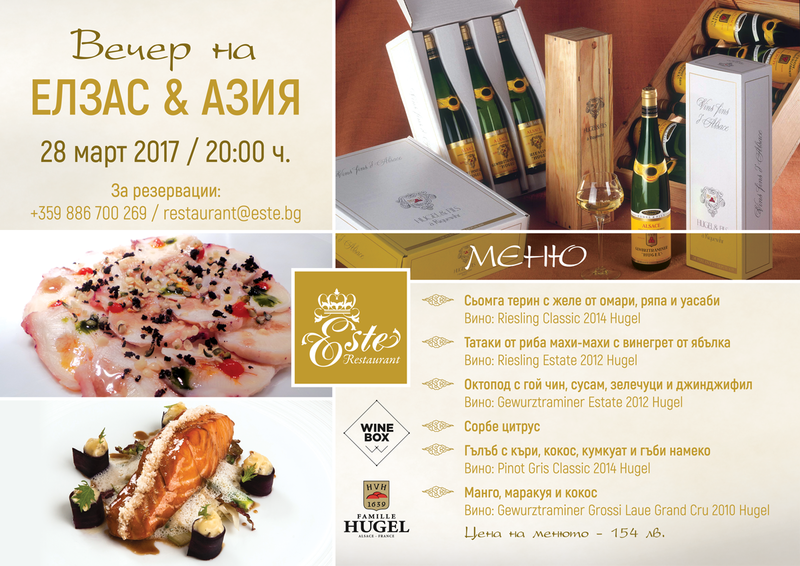 We are pleased to invite you to a special evening, which will combine aromatic culinary specialties from the Far East and exquisite selection of Hügel wines! Pamper yourself in a way you will remember long afterwards! Save your table restaurant@este.bg or 0886 700 269 and 0879 814 323!